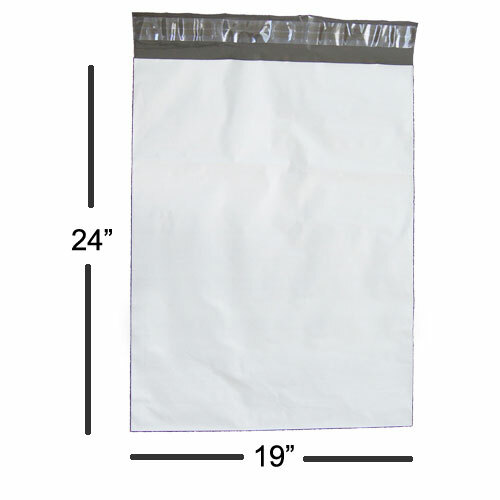 Premium, Water- Resistant, Self-Seal, Tear Resistant White Poly Mailers with lip and tape. White poly outside, gray poly inside. 6" x 9" Premium Poly Mailers- Tough, Tear-Proof Envelopes. 7.5" x 10" Premium Poly Mailers- Tough, Tear-Proof Envelopes. 9" x 12" Premium Poly Mailers- Tough, Tear-Proof Envelopes. 10" x 13" Premium Poly Mailers- Tough, Tear-Proof Envelopes. 12" x 15.5" Premium Poly Mailers- Tough, Tear-Proof Envelopes. 14.5" x 19" Premium Poly Mailers- Tough, Tear-Proof Envelopes. 19" x 24" Premium Poly Mailers- Tough, Tear-Proof Envelopes. 24" x 24" Premium Poly Mailers- Tough, Tear-Proof Envelopes. 8.5" x 35.5" Premium Poly Mailers- Tough, Tear-Proof Envelopes.